Interacting with public sculpture should be about more than vision and the kinetics of traversing the spaces around them. Yet other sensory interactions are often precluded or discouraged. ‘Look, don’t touch’ remains a mantra for accessible public art, including sculpture. Yet throughout time, sculpture can be made to be touched and heard, smelt and perhaps even tasted, as well as seen. Denying these interactions for the primacy of vision is odd and frustrating. Particularly so when some sculpture is powerful through the connections of different textures and contrasting materials, or built in steps which encourages climbing, like Sol Le Witt’s Cinder Block! It is also ironic for sculpture that shows figures in the act of touching, or imploring touch, and yet the touch of the living visitor is denied. 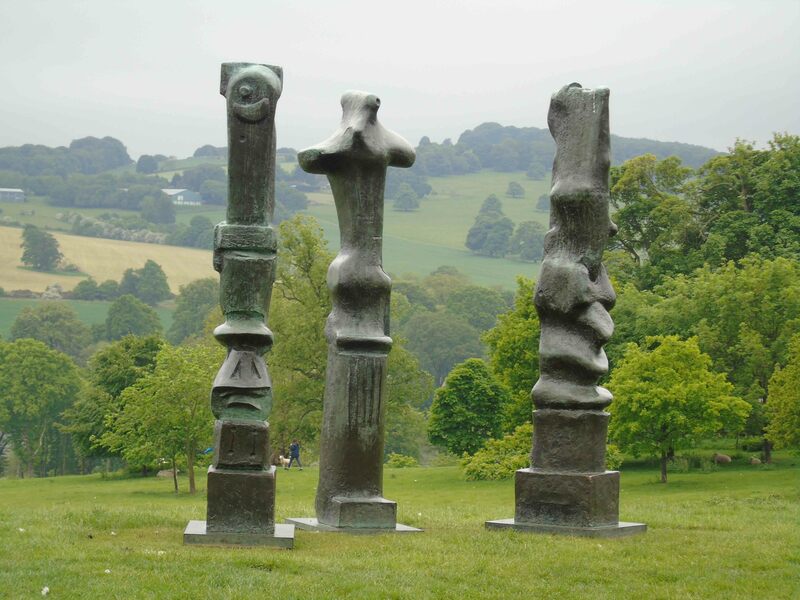 On a recent visit to the Yorkshire Sculpture Park, my kids struggled with this concept of ‘look don’t touch’. 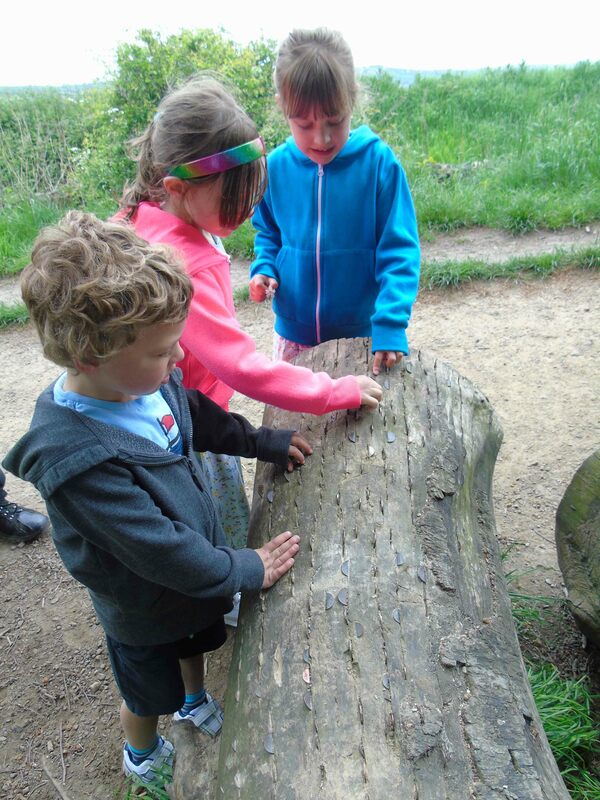 In particular, my eldest daughter, who is autistic, likes to touch and tap stone, metal and glass surfaces. My boy likes climbing. All three enjoyed the art with reflective, interactive surfaces, like The Pelvis by Not Vital. Such art is ripe for touching, tapping, and sometimes for climbing and sitting. 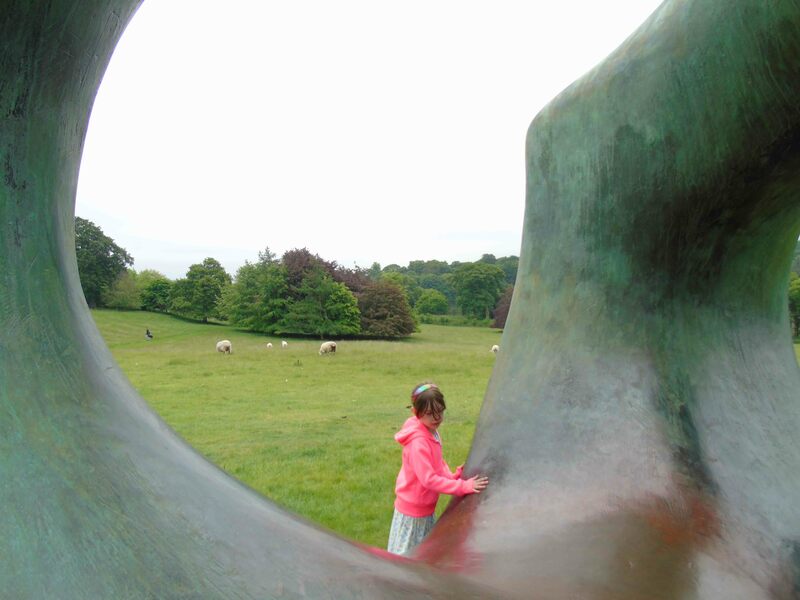 Likewise, my kid were fascinated by the sonorous Large Two Forms by Henry Moore. Between these two extremes were the Hanging Trees and Outclosure by Andy Goldsworthy: they were denied the trees and their connectivity to the dry stone walling, but could clamber up the walls to look in. 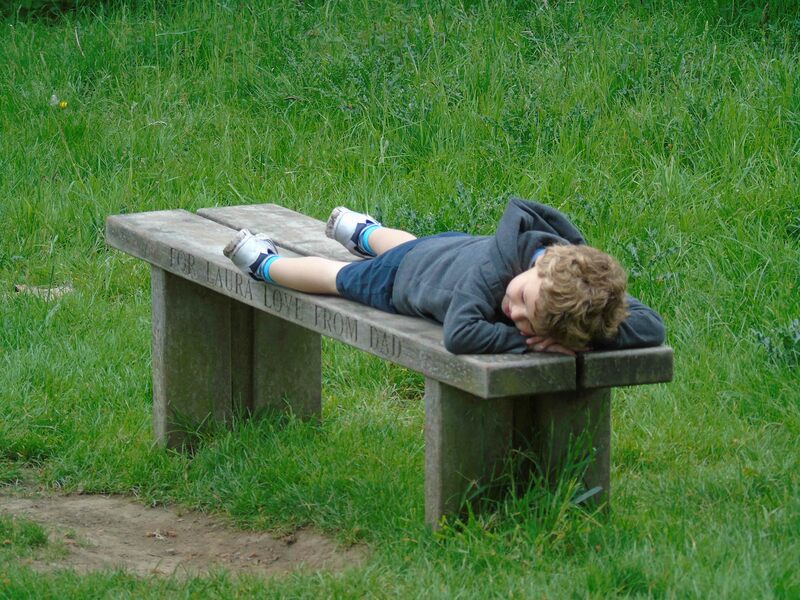 Building on what I stated in a previous blog regarding the importance of sculpture in punctuating engagement with memorials, rather than memorials punctuating sculpture, I note that my kids liked the haptic engagement with memorial benches.